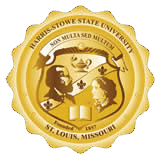 Harris-Stowe State University's Office of Communications & Marketing is responsible for the public and media relations, and marketing efforts of the university. The office works to identify and develop opportunities to share the university's story and bring visibility to HSSU accomplishments. We invite you to learn more about how HSSU is radically transforming lives - one student at a time.